Chiropractors in New York were NEVER permitted to perform DOT Physicals. There is a lot of talk and a lot of angry sentiment surrounding the Federal Motor Carrier Safety Administration’s (FMCSA) decertification of all chiropractors licensed in the state of New York. Chiropractors around the nation are complaining. The Owner-Operator Independent Driver Association (OOIDA) has called its members to bombard the Federal Motor Carrier Safety Administration (FMCSA) with phone calls, emails and letters to complain. CMV drivers are upset. There is a lot of misinformation and rumors floating around. People are furious with FMCSA. Is their anger focused on the right organization? What is really happening? 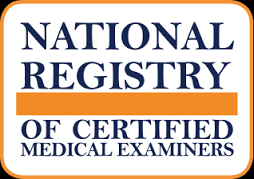 Why are chiropractors licensed in New York decertified from the National Registry of Certified Medical Examiners (National Registry)? Is it FMCSA’s fault? If not, then who is responsible? Does FMCSA have a vendetta against chiropractors? Before getting too upset with FMCSA and before spreading the rumors, it is important that you understand the full picture. The following paragraphs answer the questions above, explain the actions of the New York Chiropractic Board and FMCSA’s response to the Board’s action. In New York, The Office of Professions, State Board of Chiropractic determines the scope of practice for chiropractors licensed in their state. I talked to a representative of this State Board on June 14, 2016. According to him, chiropractors in New York were NEVER permitted to perform the type of physical examination required to determine a bus or truck driver’s physical qualification to operate a commercial motor vehicle (CMV) in interstate commerce. So, once the Board learned that licensed chiropractors were listed on the National Registry, the Board itself took action. They sent cease and desist letters to all the New York licensed chiropractors listed on the National Registry. These letters told the chiropractors to stop performing DOT examinations because it isn’t included in their scope of practice defined by the state of New York. By working outside of their defined scope of practice, the New York chiropractors were performing the exams illegally. Chiropractors aren’t the only ones who must follow their Board’s determinations. ALL medical professionals must conform to the scope of practice defined by the state board that governs them. Even though their state may not permit something that another state allows. FMCSA cannot list practitioners whose scope doesn’t include conducting the DOT physical. So FMCSA had to decertify the New York chiropractors. Makes sense, right? What doesn’t make sense, to me, is being angry with FMCSA for the New York State Board of Chiropractic’s decision. I think the anger toward FMCSA is misplaced. To be upset with FMCSA and to send letters, emails and make phone calls harasses the FMCSA staff who have no control over the situation. FMCSA was complying with their own definition of Medical Examiner and the New York Board of Chiropractic Medicine’s determination. The very definition of an FMCSA Medical Examiner is “a person who is licensed, certified and/or registered, in accordance with applicable state laws to preform physical examination.” This means the scope of practice defined by the state must include performing the the type of physical examination required by FMCSA. In New York the scope of practice doesn’t include conducting this type of examination. The full text of FMCSA’s definition from the Code of Federal Regulations is below. (1) For medical examinations conducted before May 21, 2014, a person who is licensed, certified, and/or registered, in accordance with applicable State laws and regulations, to perform physical examinations. The term includes but is not limited to, doctors of medicine, doctors of osteopathy, physician assistants, advanced practice nurses, and doctors of chiropractic. (2) For medical examinations conducted on and after May 21, 2014, an individual certified by FMCSA and listed on the National Registry of Certified Medical Examiners in accordance with subpart D of this part. Since this means that the person performing the physical examination must be permitted by the scope of practice to do the examination. Is it FMCSA’s fault the chiropractors are removed form the National Registry? NO. Does this demonstrate that FMCSA had a vendetta against chiropractors? Absolutely not. 1)Why were the New York chiropractors ever permitted to be on the National Registry, if their scope of practice forbade them conducting the DOT examinations? 2) What about the CMV drivers who had examinations performed by the chiropractors before they were removed from the National Registry? Are those driver examinations valid? If you want to contact FMCSA write or email about the two questions above. If you want to get involved in the New York State Board of Chiropractic decision making, you should write to them about their decision. © 2016, Elaine Papp. All rights reserved. Elaine M. Papp RN MSN COHN-S CM FAOOHN Elaine M. Papp has a broad range of occupational safety and health experience, from private industry to international organizations. A board certified occupational health nurse with experience working for regulatory agencies, Elaine is now offering her knowledge and experience in occupational and transportation health through her newly founded company, Health and Safety Works, LLC. Prior to establishing her company, Elaine spent 7 years as the Division Chief of the Office of Medical Programs at the Federal Motor Carrier Safety Administration (FMCSA) where she gained extensive knowledge about the relationship between medical conditions, their impact on safe operation of commercial motor vehicles (CMV) and FMCSA regulations/guidance. Elaine was responsible for establishment of FMCSA’s National Registry of Certified Medical Examiners including the training and testing components and compliance assistance materials. She also lead the Agency’s effort to create the hearing and seizure exemption programs. Elaine oversaw a staff of 10 who offered compliance assistance to the public answering over 3000 telephone calls and 2000 emails a month. She also served on regulation writing teams, oversaw the research of various medical conditions and their relationship to safe operation of a CMV, developed the Medical Examiners Handbook as well as various outreach and training materials for medical examiners, drivers and motor carriers. Prior to FMCSA, Elaine worked for the Occupational Safety and Health Administration (OSHA) in several capacities: analyzing legislation, writing Congressional testimony, regulations and compliance assistance materials, participating in on-site enforcement inspections, and conducting presentations on behalf of the Agency. While at OSHA, Elaine was selected for the Executive Leadership Program (ELP) and spent a few months in Geneva Switzerland working with the World Health Organization and the International Council of Nursing (ICN) as part of the ELP development program. Elaine authored the International Council of Nursing’s (ICN) “Guidelines for a Health and Safety Program for Nurses” and a monograph entitled, “A Guide to Health Care Waste Management for Nurses.” Prior to working for the government, Elaine had her own company working as an Occupational Safety and Health Consultant. She has also worked in private industry for TRW, a fortune 100 company, as a Senior Health and Safety Specialist. Early in her career Elaine worked in a variety of health care settings — intensive care units, doctor's offices, hospital, non-governmental organizations. and health policy groups. Thus, she has developed a broad perspective of health care in the US and has cashed to focus on employee/driver health and wellness. The Advertisement for the DOT certification course should state very clearly that licensed chiropractors in NYS cannot perform DOT exams. The literature did not state this and I went through the entire course, got my certification only to find out this information after the fact. Yes the credits will apply toward my CCE credits for the year, but I could have taken the credits in something more applicable to my practice had I know. The rule may not be FMCSA fault, but I do hold them accountable for not having a State to State listing of allowable licensed professionals who are eligible.